“I’d spent the five years since leaving school absorbing as much music as I was capable of retaining. Those few years had introduced me to medieval and contemporary music through my studies in University College Dublin, but more crucially I had been exposed to the sheer wonder of choral music for the first time and I desperately wanted to express and broadcast this beautiful new discovery to anyone that would listen. I created An Uaithne blissfully unaware of the need for the classical music industry to put music into boxes. To me music was all the same. I could shuffle on the same cassette tape from Debussy to David Bowie, from Clannad to Ligeti, from Machaut to The Clash. Each piece for me, regardless of the so-called genre of it, had its own story and each story had a validity all of its own. I suppose it is my lack of willingness to accept that music needs to be categorised and filed into boxes that defines the ethos of ANÚNA today. Back in 1987 my ignorance of such things, coupled with a passionate desire to create a form of choral music to suit my own personal vision, that gave birth to something which ultimately has changed my life. The first performance by An Uaithne was in September 1987 in Trinity College Dublin. I had been accepted to Trinity to study for a Master’s degree in English Literature and immediately joined the chamber choir there called Trinity College Singers. Eventually I became the conductor, but a lack of auditionees from the Music department and from the previous year’s ensemble resulted in me being forced to reach out to the entire college to find singers for the group. Although it was initially dispiriting, it actually worked out for the best. When the student body realised that the group was accessible to everyone places were very quickly filled with an assortment of people from every part of the university. After leaving Trinity, An Uaithne expanded and developed, and the programmes became more unconventional. The mainstream music audience in and around Dublin began to pay attention to the group and a healthy buzz could be felt around the concerts. We even released an imaginatively titled cassette that is now somewhat of a collector’s item. In December 1990 the choir recorded a track with Producer/Engineer Brian Masterson, who remains Michael’s chief recording collaborator today. In 1991 a concert at Dublin's Project Arts Centre heralded a crystallisation of all the ideas that had been floating around up to that time. “The music itself was pretty eclectic, something that has sustained the ensemble over thirty years. I had grown so much in confidence myself that the bulk of the concert featured my own compositions. We presented a “show” rather than just a concert, with movement, lights and sound amplification. Even the weak puddle of dry ice that managed only to splutter across the edge of the stage was more than a bit thrilling to behold and the overall performance probably one of the most avant garde presentations that we have done. The concert included the first performance of "The Rising of the Sun", specially commissioned by the Project Arts Centre and a collection of contemporary Irish choral music by various composers. However, the response to my own music was overwhelming and it gave me the confidence to focus on arrangements and original compositions of my own. Michael’s brother John McGlynn joined the group at this point bringing a more populist and common sense approach to the performances. “He kept drawing me back to the fact that elitism should have no place in any genre of music, constantly emphasising that there was no point in doing this at all if it couldn’t be communicated to everyone rather than the few who claimed to appreciate and understand choral music. Anyone who has seen ANÚNA in performance will probably have seen them perform Michael’s arrangement of the Irish song “Jerusalem”. “I’ve never spoken about the creation of this piece before. The first performance of the work was in 1991 in Trinity College Dublin Chapel. I wanted to emulate the sounds of the sea, undulating and whispering. But nothing ethereal. It had to be forceful and powerful, still and yet ever-changing. I had already experienced Gaelic Psalm Singing and that had inspired me to approach this work in a similar way, with a cantor and response. Psalm singing is about a congregation of voices, each singing its own hymn of adulation, but unified in a spectacularly random way. 1991 also produced Michael’s "Celtic Mass" which contains the essence of the past and future of An Uaithne, and it was at this point that the group changed its name to ANÚNA. “Sanctus” from The Celtic Mass. In October 1992 the first ANÚNA demo recordings were made in Windmill Lane Studios yielding the tracks "Salve Rex Gloriae" and "The Rising of the Sun". Collaborations arose with Sting and the Chieftains on the Grammy Award willing album “The Long Black Veil” and their voices graced the soundtrack of the Sullivan/Bluth animated film Thumbelina, a classic of the period, which they recorded with Barry Manilow. “Here we were, a group of very young, very inexperienced singers recording for someone who was beyond a legend. He said nothing at the start of the session. I suppose our utter lack of perspective allowed us to think we were capable of doing something that there were professional choruses for in London and Los Angeles. But I do remember when that particular sound we make began to show through the bad sight-reading and technical problems after a long period of silence from the control room. He started to talk, and even managed to sound excited by the end of the session. At that stage I felt it was time to record some kind of proper commercial album. Having created a unique repertoire I brought ANÚNA into a cold church in February 1993 (the first of many cold churches), sixteen singers in total. I didn’t quite have enough material for an album so I rushed off three tracks in the few days before the recording, writing “The Raid”, “Invocation” and an arrangement of the classic traditional song “‘Sí do Mhaimeo Í”. All of them were presented to the group in the church on the day of the recording. We completed the album, imaginatively titled ANÚNA, in four hours with a single stereo microphone. “Media Vita” was the album opener and it announced itself with a fresh and energetic voice. It is hard to pinpoint which tracks were “unique” to ANÚNA. There were elements of many different voices there with a strong bias for traditional settings. However if I was to pick a piece it would be “Invocation”. This was something new. The poem it is based on formed the inspiration of the next ANÚNA album, and the ideas hidden within it, procured from sources as eclectic as Robert Graves’ “The White Goddess” and “The Idea of Order at Key West” by Wallace Stevens, formed the basis for much of what has obsessed me as a composer to this day. ANÚNA gradually enjoyed a modestly raised profile in Ireland and on the BBC in Northern Ireland, appearing often on television and radio in the early 1990s. Later in 1993 Michael had enough material to create a new album which ANÚNA began recording in November of that year. “I’ve done many mad things in my career, taking on the impossible and making it work with varying degrees of success. The first recording of the album Invocation was a complete disaster. I assembled the choir and a collection of the finest musicians I knew. Everything was just better than the first recording earlier that year. But the recording session failed dismally at a huge cost and none of the performances were usable. The material was just too unusual, too ambitious for the group to sing. The complexity of this new sound-world needed time to develop. So I put it away until the start of 1994 and went off to lick my wounds. 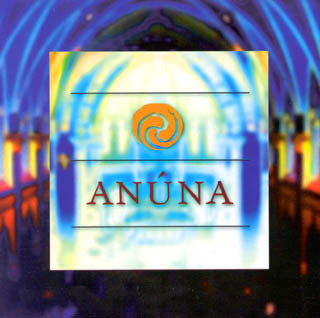 ANÚNA released their second CD entitled Invocation in August 1994. The album subsequently went on to win a National Entertainment Award for Classical music that December. “I was contacted by a very well known US based label at that time, and they flew me to the States for a meeting. I brought the ten track recording of Invocation with me. We sat with all of the company listening to this strange and evocative record. There was silence at the end of it and a single voice said “I have no idea how I would even begin to go about selling that to anyone”. So to soften the blow somewhat I went back and added four new tracks to the album which featured more “accessible” pieces. Eventually we signed to Celtic Heartbeat/Atlantic Records for a three album deal. In May 1994 a seven minute interval segment was broadcast as part of the Eurovision Song Contest in Dublin entitled Riverdance. ANÚNA featured at the opening of the work, performing a two minute segment entitled “Cloudsong” with music written by Bill Whelan. “I remember that night very well mainly because, despite the hype-in-hindsight, no one actually had much of an inkling that Riverdance would eventually become a world-wide phenomenon. Bill had attended numerous ANÚNA performances and included us in his cantata “The Spirit of Mayo” in 1993. He was also very familiar with my own compositional voice. It was all just a happy accident, and one I will always be proud of having been a seminal part of”. Eventually the single spent 18 weeks at number one in the Irish charts, went top 10 in the British charts and resulted in a hugely successful stage show and video. However the soundtrack album that was initially released did not feature ANÚNA. Anúna sang with the show in London, Belfast, Ireland and New York, but Michael decided not to seek to renew Anúna's contract in September 1996. In January 1995 the group made their first of many appearances at the embryonic Celtic Connections at Glasgow Royal Concert Hall, winning the award for "Most Popular Public Performance of the Year". The same year they recorded an interview with Michael and two songs for a television special for PBS in the USA as part of a show called "A Celtic Celebration". This was the first time ANÚNA came to the attention of the US public and the choral fraternity there sat up and took notice of the ensemble. In June they were invited by Elvis Costello to perform as his guests at Meltdown on London's South Bank. There Michael met the singer Jeff Buckley, sharing a stage with him as a soloist, and his tragic death inspired the later album Behind the Closed Eye (1997). The third album Omnis was released in October 1995. “We had an ever increasing following in Ireland, building steadily for seven years, when Riverdance catapulted the group forward onto an international stage in an unprecedented manner with all the commercial trappings attached. We migrated from audiences of 3-400 to 4000 seater venues performing as part the hottest show on the planet at the time in just a few months. In the middle of all this I hung doggedly to my own music, creating Omnis to keep my feet firmly planted on the ground. It was also created in a somewhat futile effort to bind the singers together. Dúlamán and Geantraí were originally one single song, but the necessity for another up tempo number forced me to split it in half. Some of the material was way off the beaten track – O Viridissima was a cascade of falling silvery voices and Tenebrae III sounded like it had fallen off the soundtrack of a video game (if they had existed in 1996…). For some reason the album worked very well. The 1995 release was very successful at home mainly on the back of massive over-exposure the previous year. Its mix of traditional Irish songs on the same disc as works by Hildegard of Bingen was oddly persuasive too. Anúna realistically couldn’t compete with the trappings of Riverdance so when the time came to take the choir out of the show most of the singers stayed with it. A handful of them tried to remain as part of both for a short while, but life is not about going backwards. They eventually went their own ways and new singers joined us. So Anúna was reborn, albeit tainted by a two edged celebrity status in Ireland, something I managed to shake off everywhere else except home. The influx of new blood in 1996 resulted in what is arguably one of our finest recordings Deep Dead Blue, but at the time it was pretty hard going for me. By the time Omnis was hot off the presses it was a historical note, not a new album. I remember my mother saying to me after she first heard it that she couldn’t believe something so beautiful had been born out of so much turmoil. In retrospect I can’t either. The beauty of it is in the music rather than the performances I believe. I am still proud of the compositions on that record. “Dúlamán” has become a choral mega-hit all over the world thanks to the American ensemble Chanticleer who included it on their album Wondrous Love in 1997. The version of the album available today is an amalgamation of the 1995 release and the 1996 release. These are two completely different recordings, but i felt that I couldn’t justifiably continue to sell a record where most of the singers had left. I was young and stupid then. At that stage I felt that no matter what ANÚNA did the group could never escape the Celtic/Riverdance label in Ireland. So I just accepted that fact and moved on. To date ANÚNA is still trapped somewhere between Michael Flately and light entertainment at home. 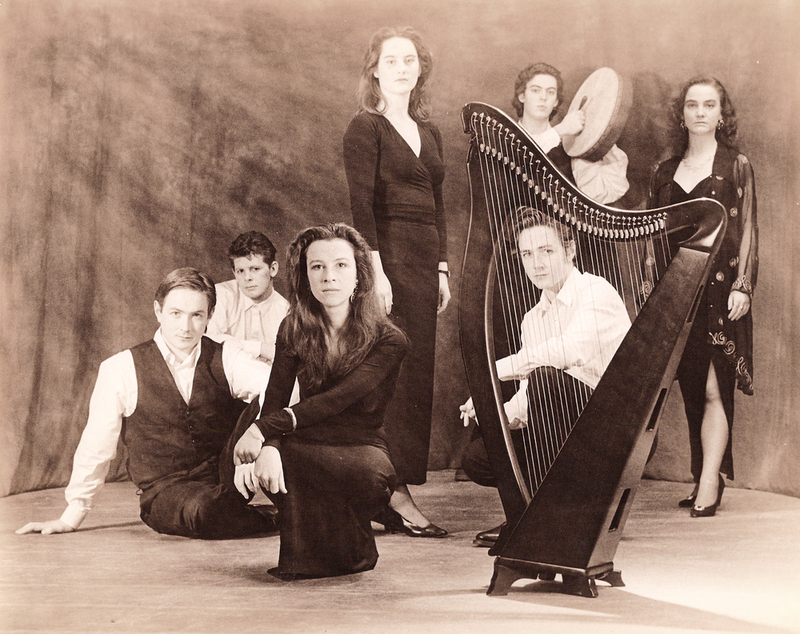 ANÚNA began to perform more and more outside of the country including tours of Sweden, Spain and France in 1996. While the choir had collaborated with many traditional and classical Irish artists, in Madrid that year they performed with renowned Basque performer Benito Lertxundi. A further connection to Eurovision was made when ANÚNA soprano Eimear Quinn won the 1996 Eurovision Song Contest in Oslo. To end an eventful year ANÚNA performed on "Later with Jools Holland" at the BBC in December. In 1998 ANÚNA sang at the inauguration of President Mary McAleese, President of Ireland, and recorded two projects with The Chieftains in collaboration with Elvis Costello, Oscar winner Brenda Fricker and Chinese singer Dadawa for The Long Journey Home and Tears of Stone. The group signed an exclusive recording deal with the Gimell/Philips label, home of The Tallis Scholars and in January 1999 they recorded a PBS TV special in Norway with Secret Garden, appearing on two of their albums as guests. BBC2 filmed a performance that year of Behind the Closed Eye at Belfast's Waterfront Hall with the Ulster Orchestra. Deep Dead Blue was nominated for a Classical Brit Award and album six, Cynara, was released in November 1999, and in January 2000 Behind the Closed Eye was repeated at the opening of Celtic Connections at the Glasgow Royal Concert Hall with the Orchestra of Scottish Opera. 2000 also marked the first solo performance by the group at Dublin's National Concert Hall and the release of the award-winning film The Work of Angels featuring a score by Michael performed by ANÚNA. Another highlight of this time was performing with The Ulster Orchestra to 14,000 people in Belfast as part of the BBC Proms. Essential ANÚNA was released on Universal Classics in the UK and USA on Koch/E1 in 2003 resulting in a placing at number 6 in the U.K. Classical Charts. This compilation was followed by Christmas Songs in 2004 on Koch International. ANÚNA undertook first UK Tour that year and visit Chile and Argentina as guests of President Mary McAleese, President of Ireland. “At this time we paid our first visits to the Netherlands and Japan, two hugely contrasting cultures that have embraced ANÚNA. Both our Dutch agent Peter Boone and our Japanese agent Plankton have carved out unique paths for us and we have been embraced and accepted as part of those cultures, something we will be forever grateful for. Guest artists included Breton singer Gilles Servat who took a narration role on the title track “Sensation”. The appetite for all things Celtic continued unabated and besides contributing so many of the singers to Riverdance over the years, the advent of the US phenomenon Celtic Woman showed the enormous influence the group had yielded on that genre of music. As of 2019, six ANÚNA singers have appeared in leading roles fronting the show - Tara McNeill, Méav Ní Mhaolchatha, Lynn Hilary, Deirdre Shannon, Orla Fallon and Éabha McMahon. In the meantime ANÚNA continued to tour the world and were Artists in Residence at Festival 500, Newfoundland in 2007. That same year marked the recording of the hugely successful PBS TV special ANÚNA - Celtic Origins in Cleveland USA for the Elevation Group. The programme was carried by over 220 PBS Channels and the album titled Anúna : Celtic Origins hit number one on Soundscan in the World Music category. “Shining Water” adapted from Celtic Origins. The year ended with a nine-week tour across the USA with special guest classical violinist Linda Lampenius, who subsequently has recorded and performed with the ensemble as recently as 2017. Venues included New York Town Hall, Orchestra Hall Minneapolis and Berklee Performance Centre, Boston. Recording began in June 2008 on a second Elevation collaboration Christmas Memories with Maryland Public Television for PBS. The programme achieves 80% coverage on PBS Channels, and the CD peaked at number 95 on the Billboard Hot 100 Album Charts. "Ding Dong Merrily on High" reached number 26 on the Billboard Hot Adult Contemporary Charts. Anúna - Celtic Origins won four Telly Awards. Since 2008 ANÚNA have maintained a busy performance schedule, but the biggest single event of the period was the creation of the ANÚNA Education Programme led by Lucy Champion. 2010 marked the recording of a DVD and CD with Australian group The Wiggles, the most successful children's entertainers in the world. 2011 began with an invitation from Clannad to be their special guests for their Dublin performances at Christ Church Cathedral, celebrating forty years in the music industry. It also marked ANÚNA’s first tour of China where they receive a rapturous welcome. Other performances that year included Tours des Sites in Belgium in front of an audience of 7,000 people. ANÚNA recorded the soundtrack to the video game Diablo III in 2011 representing the voices of Hell. The video game subsequently went on to be massively successful in 2012, selling 3.5 million units on its first day of release and 12 million units in its first year. ANÚNA’s contribution earned them a Game Audio Network Guild nomination. Russell Brower, music co-ordinator and composer of much of the music for the game, was hugely impressed with the contribution of the group saying "Working somewhat against conventional expectations, Hell is a beautiful and seductive sound, provided by Dublin’s uniquely astounding choral group ANÚNA". The most significant event that year occured when ANÚNA visited Iwake, Fukushima just after the tsunami and gave a workshop 40km from the stricken reactor. The group returned to the area in 2014 to a revitalised and renewed prefecture. 2011 marked a significant turning point. The first Anúna International Choral Summer School took place with delegates coming from five countries. By 2018 delegates came from 16 countries. That same year Michael paid his first visit to the American Choral Directors Association National Conference in Chicago thus opening up an enduring connection with the choral music fraternity in the USA for the first time. These events began a process that took some years to complete - the creation of definitions for The Anúna Technique of choral performance. This new methodology is based on the unique history and performance practices of Anúna. It continues to develop and expand with each passing year. 2012 marked the release of the album Illumination to celebrate the 25th Anniversary of Anúna. The disc features the solo voice of a young singer Andrew Hozier Byrne on the opening track. Hozier, as he is better known, performed with Anúna first at Christmas 2007. To celebrate the 25th anniversary Anúna featured in a solo performance at Dublin's National Concert Hall. Repertoire included material spanning the entire catalogue of Anúna including the "Chanson de Mardi Gras" (1991) and a performance of excerpts from the soundtrack of Diablo III. When this video was posted online it crashed the Anúna website. 2013 included the group’s first tour of Canada and an ever expanding series of workshops which culminated in the second Anúna International Summer School. This event held in June had thirteen countries represented among the attendees and facilitators included Charles Bruffy, Artistic Director of the Phoenix and Kansas City Chorales and Dr. Stacie Lee Rossow of Florida Atlantic University. For the first time the majority of members of ANÚNA came from outside of the Republic of Ireland. 2014 marked an important year for Anúna, defining and developing the ensemble. Illumination is withdrawn from sale and reissued as Illuminations, completely remastered with new vocals and remixes. Michael stated that the original release aimed to "hide" a true connection with the singers, while this version puts the performer in the room with the listener and is a much more immediate and vital experience. The album now included the work of Finnish violinist Linda Lampenius on three tracks. Revelation was completed in early 2015 and marks a watershed for the choir and McGlynn’s writing. It is unsurprising that this release, which came at the start of the music streaming revolution, has proven to be the most successful of ANÚNA’s releases on Spotify. Featuring a coherent musical narrative that connects material as diverse as a semi-improvised setting of a passage from the Book of Revelations and the theme of Japanese classic anime Princess Mononoke, the album ushers in a new era of recording that continues to develop. 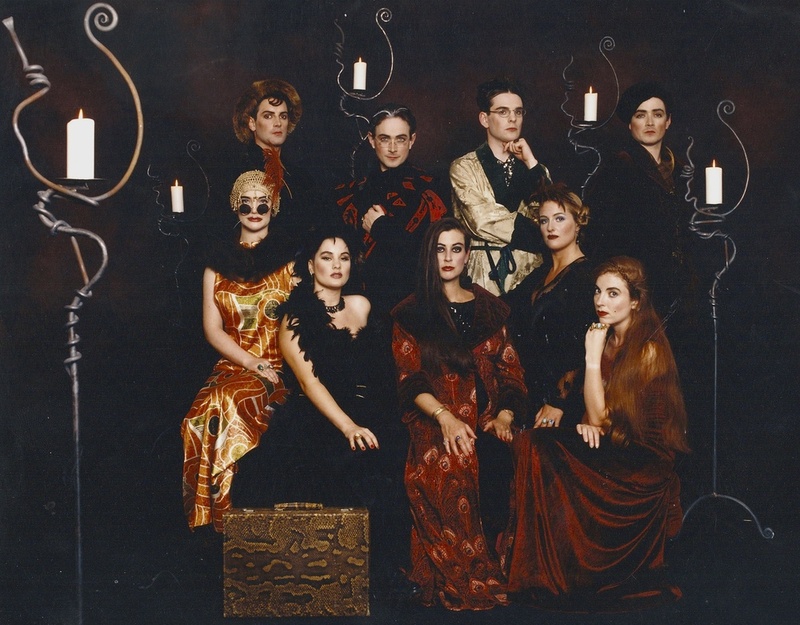 Now featuring a pool of approximately twenty five singers from eight countries, the choir developed repertoire and techniques to allow for non-amplified performances, and the album reflects the increasing virtuosity of Anúna. “As a composer I found this to be the most difficult album to create. My father Andrew was very ill at the start of the recording sessions. He died before the album was completed. So consciously and unconsciously all of the material is connected to him and to how I felt at that time. You could say that it was the way I came to terms with his death, but the album is not about grief. “Na Coille Cumhra” (the Fragrant Wood) is a song about a young man who believes that love can banish even the spectre of death, while “Fáilte don Éan” (welcome to the bird) is about bitter regret and frustration at how powerless we are in the face of fate. “Love’s Old Sweet Song” is a classic of the Irish parlour repertoire and I wanted to reclaim it for today with a setting that reached back and forward simultaneously as it is an elegy on the nature of love. One of the more significant musical tracks is probably “Fill Fill, a Rún” which features an exquisite solo by Éabha McMahon. This was the first time that I had the confidence to take a piece of traditional sean nós singing and arrange it in a way that allowed us to see the song clearer, to frame and magnify it in a way that elevated it beyond the lazy definition that is sometimes used to describe folk music. “Revelation” is the defining song on that release, a reflection of the powerlessness of humanity in the face of atrophy and the neglect of our world, with the Archangels representing the power of inspiration and art to save and inspire us from damnation. Although the piece is intensely dramatic, like much of the record I view it as a static image. “One Last Song” and “Elegy” are a pair, and the most personal statement on the release. It was a deeply emotional moment for me when my uncle John came and played harmonica on the latter and I think it has taken me many years to fully appreciate the emotions hidden within these songs. 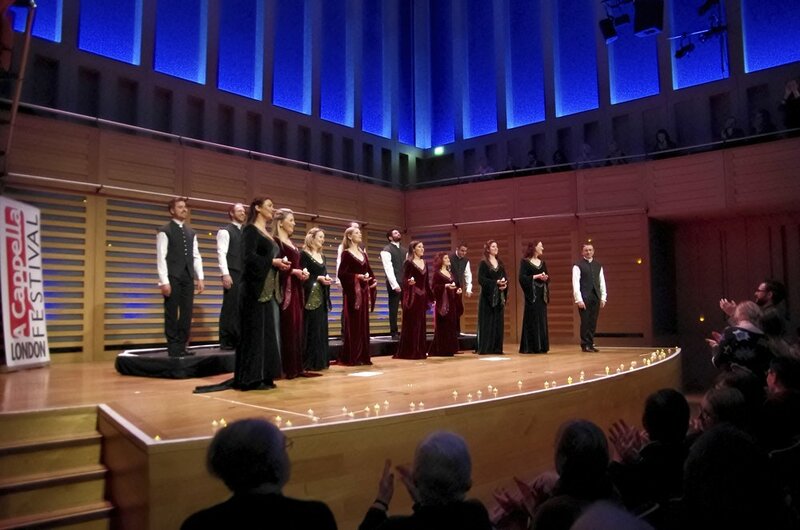 Anúna gave their first performance in England in a decade as part of the London A Cappella Festival on the invitation of The Swingle Singers. Michael gave a presentation with singers from ANÚNA at ACDA National Conference at Salt Lake City, Utah in March 2015. In August the group performed at the National Centre for the Performing Arts, China's premiere classical music venue located in Beijing which is a sell-out. In 2017, ANÚNA celebrated 30 years with a series of events to mark the occasion. Highlights included a sell-out performance at Dublin’s National Concert Hall, tours of China, the Netherlands and a welcome return to Sweden to perform with long-time collaborator Linda Lampenius in Gothenburg. The group appeared again at the BBC Proms on direct link from Northern Ireland and sang a number of pieces including Michael’s “Pie Jesu” (soloist here is Andrea Delaney). The stand-out event, however, was Takahime, a unique collaboration between ANÚNA and a Noh Theatre company in Tokyo's Orchard Hall. Involving a full Noh troupe performing in one of Japan’s most significant venues, Orchard Hall, the presentation was an enormously complex presentation and included a full score created by Michael. ANÚNA recorded four songs written by composer Yasunori Mitsuda for the soundtrack of “Xenoblade Chronicles II”, one of the most highly anticipated video game releases in the world. In November 2017 Anúna released a video, created by Michael McGlynn, of the piece "Shadow of the Lowlands". Speaking of his first encounter with Anúna through their album Deep Dead Blue, Mitsuda says "I felt that ANÚNA was a new type of chorus that I’d never heard before. My attention was drawn to the lead singer, Michael McGlynn, and I dreamt about making music with ANÚNA one day. After 20 years, my dream came true through the making of the game Xenoblade Chronicles 2". In February 2018 the group won the Outstanding Ensemble category of the Annual Game Music Awards 2017 for their contributions to the game. The year ended with the release of three limited edition CD releases, "A Christmas Selection" and "ANÚNA Selected 1987-2017" Volumes I and II. These feature over 60 remastered tracks and a number of new pieces including the monolithic "Look Away...", a 14 minute work that includes improvisation. In February 2018 ANÚNA travelled to Tokyo to participate in four concerts with Mitsuda celebrating the 20th Anniversary of the release of the legendary video game Xenogears, also contributing new performances of songs to the soundtrack of the album. The Blu-ray of that extraordinary project will be released in March 2019 in Japan by SquareEnix. You can find out details from HERE. 2018 also marked the first performances and recordings by the new offshoot ensemble of ANÚNA - M’ANAM. Different from ANÚNA in fundamental ways, M’ANAM has already created startling and original music that has a darker, more contemporary tone to its parent.